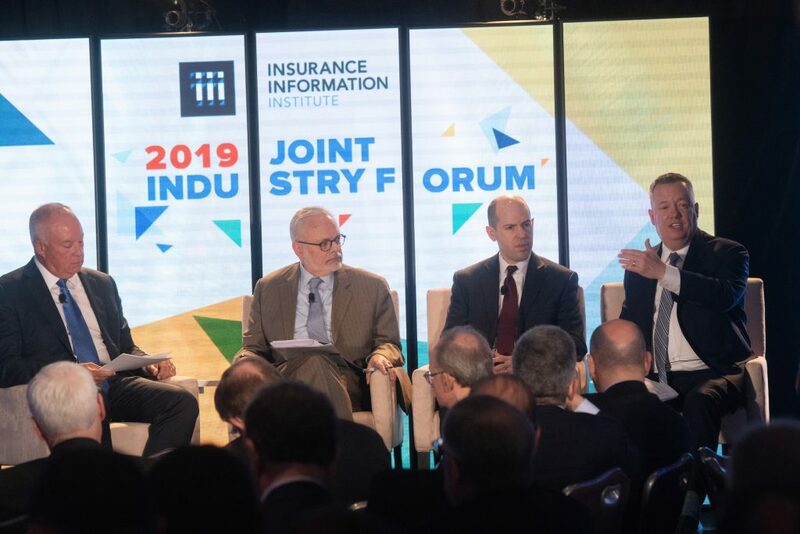 "It is unusual to have an industry-wide insurance profit," says Jay Gelb, CEO of Barclay's Speaking at a geopolitical risk panel at 2019 I.I.I. Joint Industry Forum. "But 4Q 2018 will get worse." The insured losses from Hurricane Michael and the disastrous California fires will obscure the industry's insurance performance. And over the past two years, total global disaster losses were around $ 230 billion, the highest level for a two-year period, Gelb noted. Although the industry did well to deal with these catastrophe losses, greater threats could be threatening on the horizon of the p / c industry and the economy in general. Panel specialist David Wessel, head of the Hutchins Center for Financial and Monetary Policy and Senior Member of the Brookings Institution, listed some. In the short term, he expressed concern about the ongoing state suspension. He also pointed out that while the incoming economic data is strong, the markets continue to express pessimism and assume greater weight in the downside risk for 2019. In the long run, Wessel noted the continued productivity development and climate change as serious threats. John Huff, President and CEO, Association of Bermuda Insurers & Reinsurers (ABIR), added the continuing challenges of global insurance regulations, especially in the light of recent political events that seem to propose an acidic approach to global interconnection. Huff expressed some optimism, but "people want to stay at the table of international regulatory standards because companies are global. They don't want conflicting regulatory standards." US political uncertainty is also a reason for insurers to be concerned, per Huff. It has long been a driving force for "de-risking" government debt and moving some of them to the private market, including the National Flood Program (NFIP), crop insurance, the Terrorist Risk and Insurance Act (TRIA) and Earthquake Insurance. Gelb included flooding and firing risks for the equation – both can increase in frequency and severity due to climate change. Despite these possible threats, panelists hold a mildly positive outlook for the future. "I think nothing is permanent, fortunately," says Wessel about the current political and economic tensions. If anything, this could be an opportunity for insurance management. Insurance has always led the way for economic growth. Said Wessel: "We are in a moment when business leaders can be a more prominent voice to handle tensions […] The world longs for leadership."